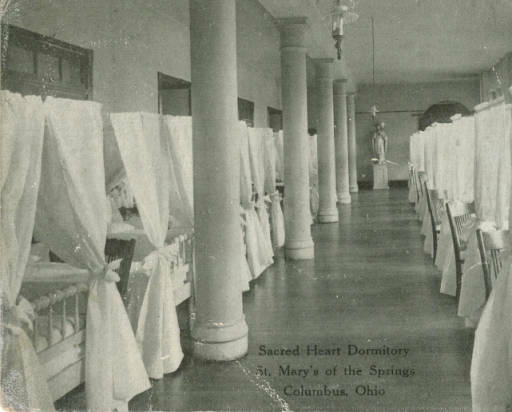 This is a period example of how the dormitory would have looked at Sacred Heart. In the Oct. 1993 edition of the Barquilla de la Santa Maria, a bulletin of the Catholic Records Society- Diocese of Columbus, names the following girls as attending Sacred Heart Academy at Somerset. (NOTE: this is the second part to the article, covering females with surnames L-Z. Nellie and Mary Sheridan are both listed. native of Iowa, 1880 census. Sacred Heart opened its doors one sunny day in May of 1879. The first location of this building, the one that Nellie and Mary would have attended, was located in the old Dixon Brown on Main St., which was leased until a new building could be constructed. (Dixon Brown had a drygoods store) The new site for the academy was where the former St. Mary’s Academy was located. St. Mary’s was destroyed by fire in 1866. The new academy was complete in 1883. 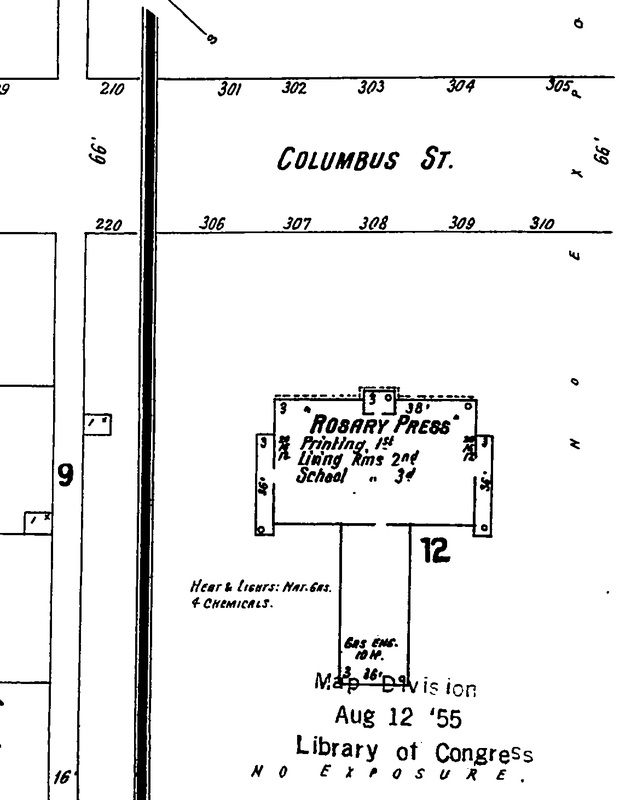 Per the Sanborn Fire Insurance Maps, it looks as if this building was located near the Sheridan home.